Mike Omartian is the owner and head instructor at Startline Agility Center. As the gifted trainer and handler of several different agility dogs, Mike has garnered the reputation of a consistent winner. But although this winning record has defined him as tough competitor, Mike is also known as a gentleman and a genuinely nice guy, and that's what makes him such a popular instructor. Mike was introduced to the sport of dog agility in 1995 and was soon competing at agility trials. He promptly became a top winning handler, earning 21 High in Trial awards with his very first agility dog, Mattie. But this was only the beginning, and in the ensuing years his ability to bring out the best in every dog he works with has allowed him to continue to win at the highest levels of competition. Mike has put advanced titles on multiple dogs of different breeds, and repeatedly won or placed in National Championships year after year. 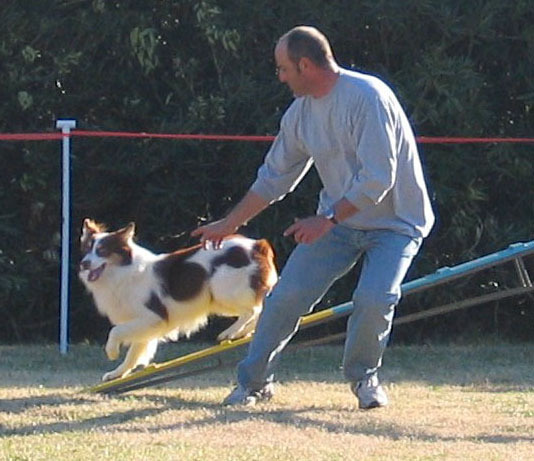 In 1998 Mike began teaching at a well known agility school and then went on to open Startline in 2001. Since then he's trained hundreds of dog/handler teams in this great sport. Some of his students attend agility class for the fun and exercise afforded them, while others enthusiastically train with the intention to compete. It's said that an instructor's success can be measured by the subsequent success of his students, and Mike's students are a shining testament to his abilities. Many continuously bring home top awards and titles on their own dogs, and just like their instructor, several have even gone on to win at a national level. Mike's own students will tell you that his agility awards and achievements tell only a small part of the Startline Agility Center story. Mike is the "heart" of Startline; the gifted and talented teacher, who clearly communicates information and brings a sense of enthusiasm and fun to the people and dogs that he works with. His experience and knowledge, his genuine love of dogs and the sport of agility, and the patient guidance that he extends to all of his students...the "just for fun" players and the serious competitors alike...are what makes him a truly great teacher. 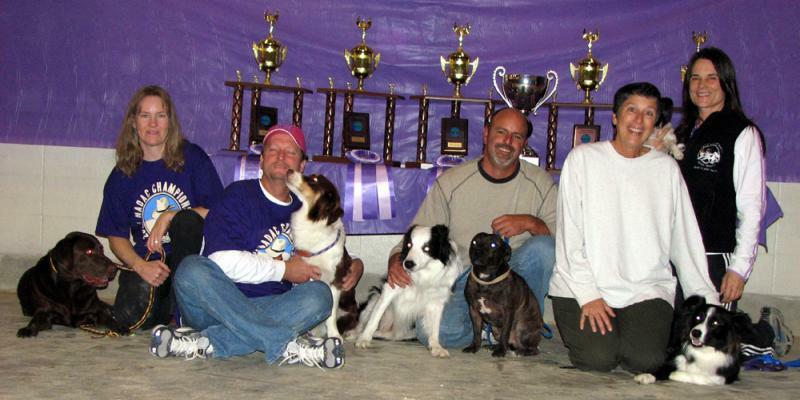 Mike honestly cares about his students and works to make dog agility at Startline fun and rewarding for all.